From the Berner Oberland ski tour in Switzerland to Norway skiing by boat discover the world of wild snow and virgin turns, be it in deep winter powder or perfect sun-kissed spring corn snow, long after the ski lifts have closed for the season. Stay in a back country huts or a classic alpine hotel. Improve you technical skills while enjoying the great mountains. Back country skiing will leave your heart pounding from the pure joy of brilliant exhilaration and your mind planning your next trip. 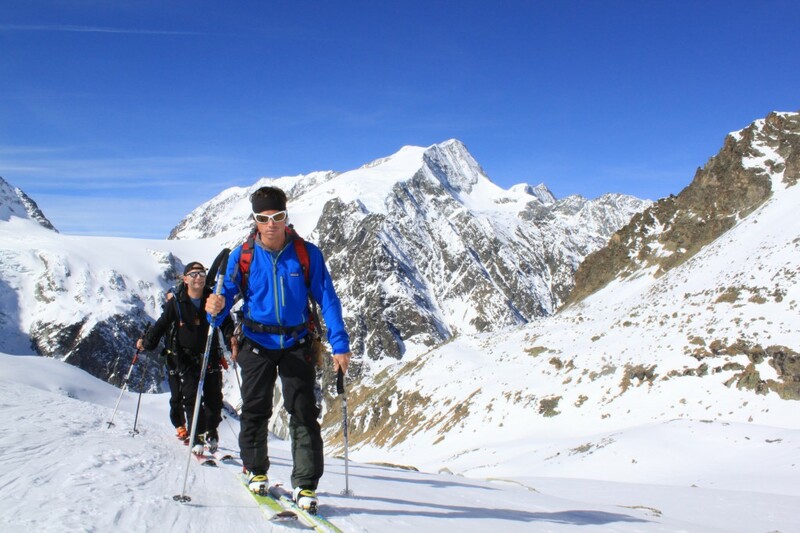 The Haute Route must be the best known ski tour in the world. This classic route start in Chamonix, the European climbing & skiing Mecca and end in Zermatt, the most well-known alpine town in the world at the foot of the Matterhorn. The entire traverse was completed in 1911. The haute route is not the achievement of one person or one team but the result of many attempt from many different teams. The haute route stretch over 145 km. Crosses twenty-three glaciers and has a total ascent and descent of 10,000 m. (33,000 ft) vertical. There is quite few variations: From Orsiere one option goes to Mt Fort above Verbier, and continue on to Les Dix hut via Rosa Blanche. Another option goes to Grand Combin, Chanrion hut, les Dix. All routes will finish via Pigne D’Arolla, Vignette, Col de L’Eveque, Col de Valpelline , Zermatt. Designed to provide you with an introduction to the endless skiing possibilities in the Alps, this type of tours allows you to ski major resorts and several smaller ones. Helicopter skiing and backcountry tours are easily added to the itinerary to change the pace as you wish. Remember, this is just an idea, contact us for a sample itinerary and we would be delighted to work with you on an itinerary to suit your exact needs.